Figure 11-2 shows a default project organization and maps project-level roles and responsibilities. This structure can be tailored to the size and circumstances of the specific project organization. 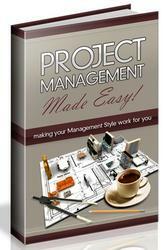 • The project management team is an active participant, responsible for producing as well as managing. Project management is not a spectator sport. • The architecture team is responsible for real artifacts and for the integration of components, not just for staff functions. • The development team owns the component construction and maintenance activities. The assessment team is separate from development. This structure fosters an independent quality perspective and focuses a team on testing and product evaluation activities concurrent with on-going development. • Quality is everyone's job, integrated into all activities and checkpoints. Each team takes responsibility for a different quality perspective. Most projects are overconstrained. Schedules, costs, functionality, and quality expectations are highly interrelated and require continuous negotiation among multiple stakeholders who have differing goals. The software management team carries the burden of delivering win conditions to all stakeholders. In this regard, the software project manager spends every day worrying about balance. 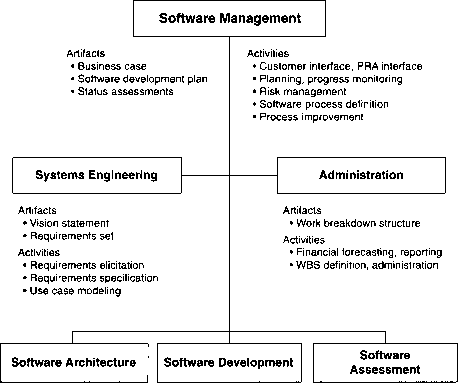 Figure 11-3 shows the focus of software management team activities over the project life cycle. 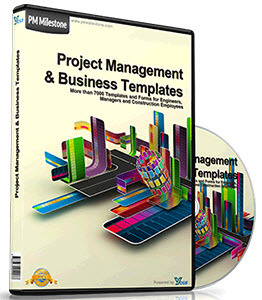 • Requirements set project scope, and sets operational priorities across the project life cycle. At an abstract level, these activities correspond to managing the expectations of all stakeholders throughout the project life cycle. The software management team takes ownership of all aspects of quality. In particular, it is responsible for attaining and maintaining a balance among these aspects so that the overall solution is adequate for all stakeholders and optimal for as many of them as possible. The software architecture team is responsible for the architecture. This responsibility encompasses the engineering necessary to specify a complete bill of materials for the software and the engineering necessary to make significant make/buy trade-offs so that all custom components are elaborated to the extent that construction/assembly costs are highly predictable. Figure 11-4 shows the focus of software architecture team activities over the project life cycle. For any project, the skill of the software architecture team is crucial. It provides the framework for facilitating team communications, for achieving system-wide qualities, and for implementing the applications. With a good architecture team, an average development team can succeed. If the architecture is weak, even an expert development team of superstar programmers will probably not succeed. full-scale production stage. By the time the construction phase is initiated, the architecture transitions into a maintenance mode and must be supported by a minimal level of effort to ensure that there is continuity of the engineering legacy. The architecture team is responsible for system-level quality, which includes attributes such as reliability, performance, and maintainability. These attributes span multiple components and represent how well the components integrate to provide an effective solution. In this regard, the architecture team decides how most multiple-component design issues are resolved. Figure 11-5 shows the focus of software development team activities over the project life cycle. The software development team is responsible for the quality of individual components, including all component development, testing, and maintenance. Component tests should be built as self-documented, repeatable software that is treated like other operational component source code so that it is maintained naturally and is available for automated regression testing. The development team decides how any design or implementation issue local to a single component is resolved. Figure 11-6 shows the focus of software assessment team activities over the project life cycle. There are two reasons for using an independent team for software assessment. The first has to do with ensuring an independent quality perspective. This often-debated approach has its pros (such as ensuring that the ownership biases of developers do not pollute the assessment of quality) and cons (such as relieving the software development team of ownership in quality, to some extent). A more important reason for using an independent test team is to exploit the concurrency of activities. Schedules can be accelerated by developing the software and preparing for testing in parallel with development activities. Change management, test planning, and test scenario development can be performed in parallel with design and development. Each release may encompass several (perhaps incomplete) components, because integration is proceeding continuously. Evaluation criteria will document what the customer may expect to see at a major milestone, and release descriptions will substantiate the test results. The final iteration(s) will generally be equivalent to acceptance testing and include levels of detail similar to the levels of detail of conventional software test plans, procedures, and reports. These artifacts evolve from fairly brief, abstract versions in early iterations into more detailed and more rigorous documents, with detailed completeness and traceability discussions in later releases. Even for use case testing, test components should be developed in a manner similar to the development of component test cases. For example, rather than develop test procedure documents, a project should generate self-documenting test scenarios that are software programs in their own right. These scenarios should be subjected to change management just like other software and are always maintained up-to-date for automated regression testing. Some component tests may get elevated to evaluation criteria, with their results documented in release descriptions. Many components may undergo only informal component testing by the development team, with the results captured only within the test software built by a developer. Formal testing for many components will then be subsumed in higher level evaluation criteria (usually capability-oriented or thread-oriented scenarios) and corresponding release descriptions. All components are not created equal: Some of them deserve formal component testing to verify requirements, while others are best tested in the context of capability testing. This judgment must be left to the discretion of the assessment team. The assessment team is responsible for the quality of baseline releases with respect to the requirements and customer expectations. The assessment team is therefore responsible for exposing any quality issues that affect the customer's expectations, whether or not these expectations are captured in the requirements. What is project organizations in spm?